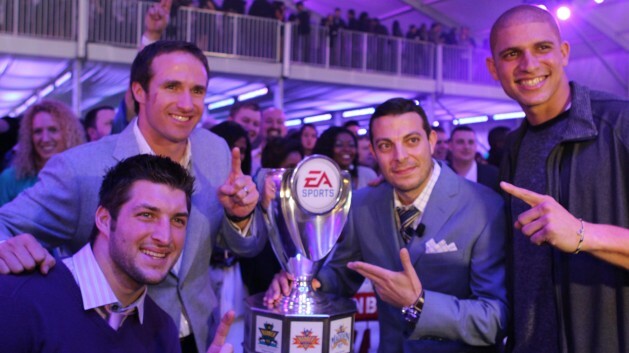 Suiting up the Sports World, One Athlete at a Time. One of our greatest pleasures as a company is taking a professional athlete and totally recreating his look. Professional Clothier Trixie Rosales has taken on the Drew Brees project. 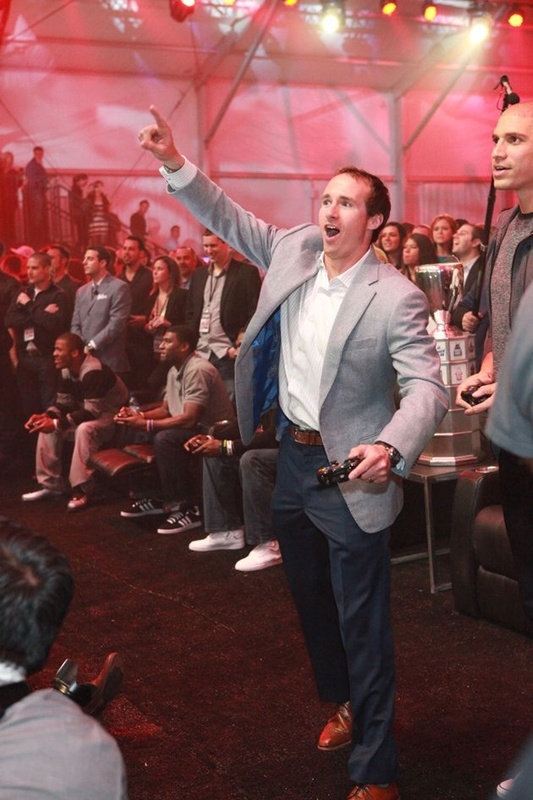 Check out Mr. Brees at EA Sports Madden Bowl XVIII in his A&B duds. Look closely and you’ll see our custom logo lining.